Pinch me, I’m in Maldives! We went home with faces a little browner, hearts a little bigger, and memories wealthier. 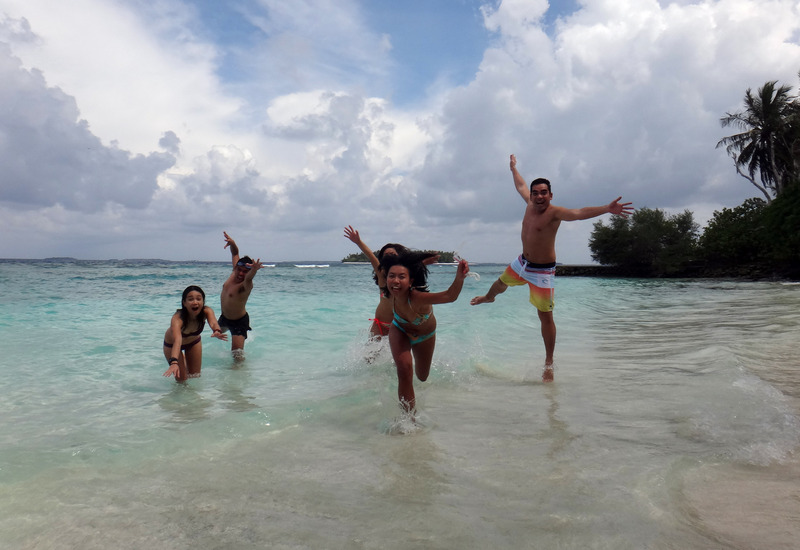 It seems so unfair to take so much and give back so little to a destination that has made you really happy, but Maldives is simply generous like that. Its giving is effortless, even, as natural as a pristine paradise can be. 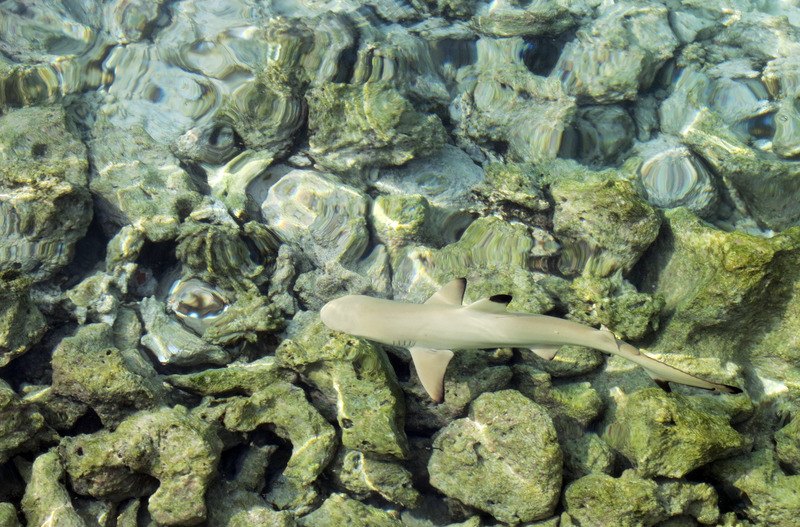 Spotted: baby black-tip shark swimming on the shallow reef. Okay, so maybe the lavish water villas and mind-blowing infinity pools are a tad over-the-top. But the real opulence lies under the water. Underneath, it’s a busy city that doesn’t care about full-board amenities, service charges and the like. Big fish, little fish, predator, prey — everyone’s bustling to and fro, engrossed with their day to day, oblivious of the man-made spas above them. Here, life is simple — work, eat, exercise, build a house, try not to get eaten. Most of all, have fun. Well, it certainly looks like they’re having hoards of fun, the way their fins are wagging. 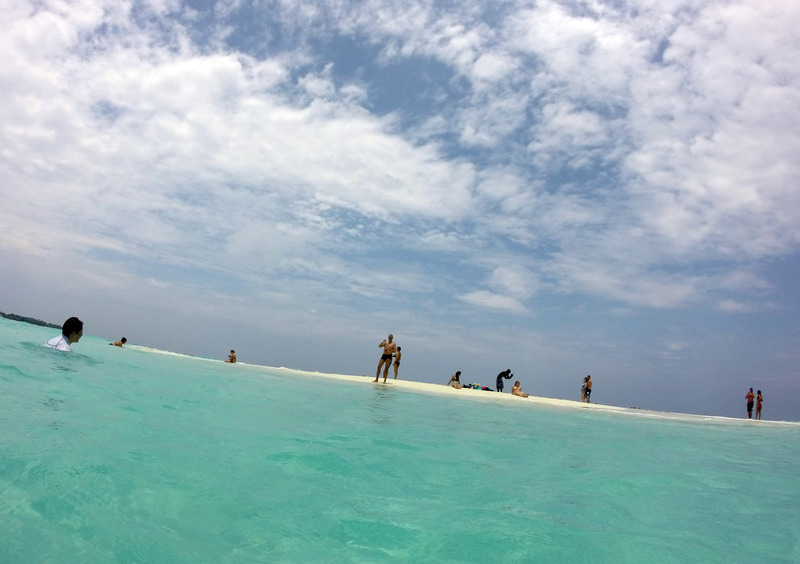 Meanwhile, in the world above, our merry band of weekend warriors were about to find out whether honeymoon-central Maldives had space for backpackers like us. One of the most important decisions you’ll probably make before actually heading off to Maldives is on which island to stay. From what I hear, most islands are owned entirely by a single resort; as hopping to and fro between islands can be challenging, you’ll most likely be spending most, if not all, of your stay in whichever resort you choose. Going through all the options was a hearty task, definitely — we didn’t want to be stuck in the one place where everything was tailor-made for all things lovey-dovey. 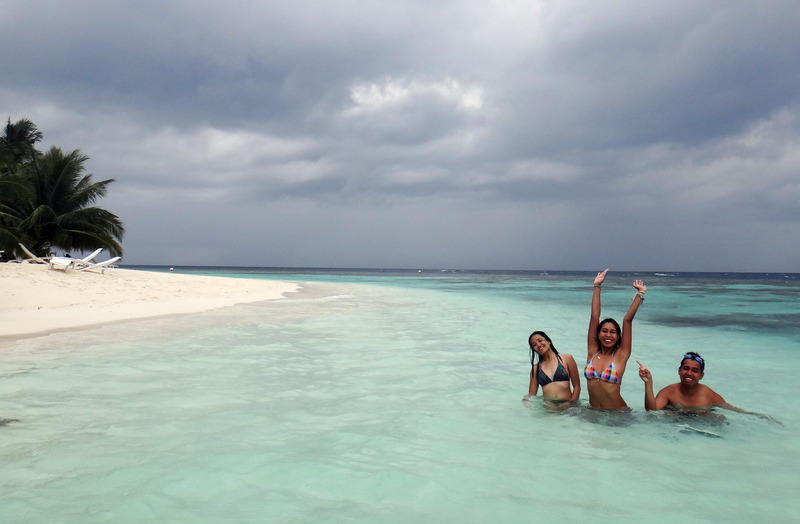 In the end, we decided on Bandos Island Resort & Spa, mostly for its convenient 15-minute speedboat ride from the airport. Perched on an idyllic scenery of long, white sand beaches, glistening reefs and lush palm trees, the resort has a homey, family feel. It didn’t feel like we were intruding on any couple’s romantic-getaway time at all. You could tell the resort was busy with all the visitors in the dining hut at dinnertime. However, if you take a stroll around the island during the day, it would still be serene for the most part. It seems like everyone — couples, families, kiddos, and giddy nuts like us — had ample space to enjoy and commune with nature, each in their own way. Considering that our visit was brief, we managed to run into a lot of adventures. 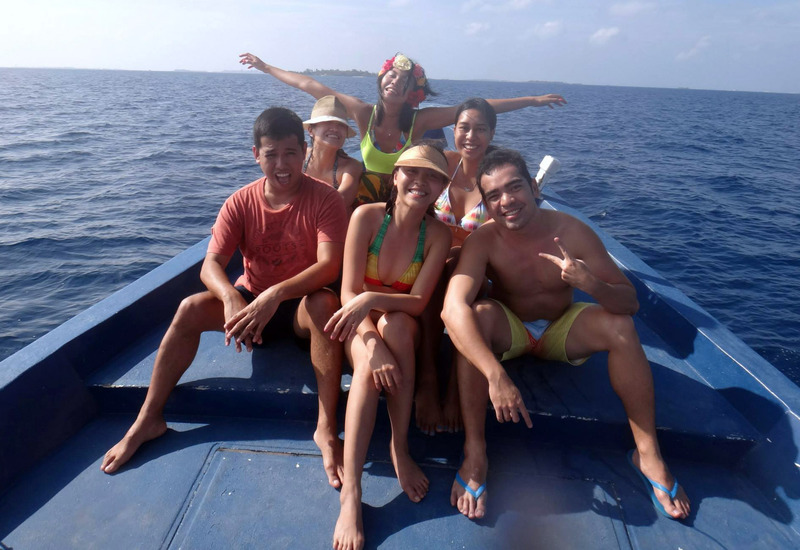 For me, the highlight was definitely the world-class snorkeling. Not everyone can be gifted with the zen master’s skill of not-panicking-while-diving, so it was quite dandy that even with just a snorkel mask and fins, you can witness quite a spectacle of life underwater. For a moment, I held my breath as a baby shark glided beneath our feet; later on, a turtle swept by us. To witness turtles swim in the wild has been a life-long dream for me, and to get to share my dreams with some of my closest buddies on earth is indeed a treasure. From daybreak to nightfall, we practically spent every minute under the sunshine. 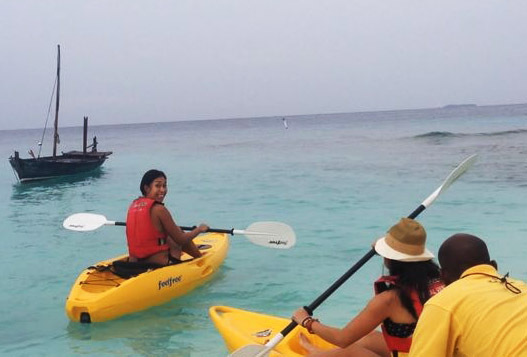 After we had our fill of splashing and snorkeling around Bandos’ lively house reef (which was only a few paces from our huts), we would seek out the resort’s other offerings, such as the kayaks and the wide pool. 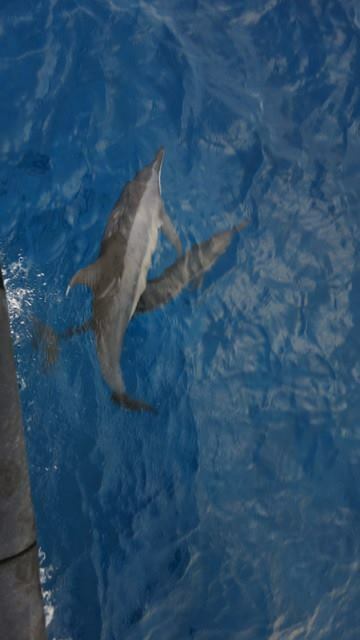 If fate is on your side, then you can even chance upon a wild pods of dolphins gleefully following your boat on the resort’s sunset cruise. Once the moon came out, the fun still kept flowing. The resort organized an International Karaoke Night for that weekend, which was perfect, as we were — *ehem* — VARSITY KARAOKE. Hopefully, we didn’t take it too far by accounting for around 80% of the belting that went on that night. There’s never enough swimming for water babies. Living the tropical paradise dream. 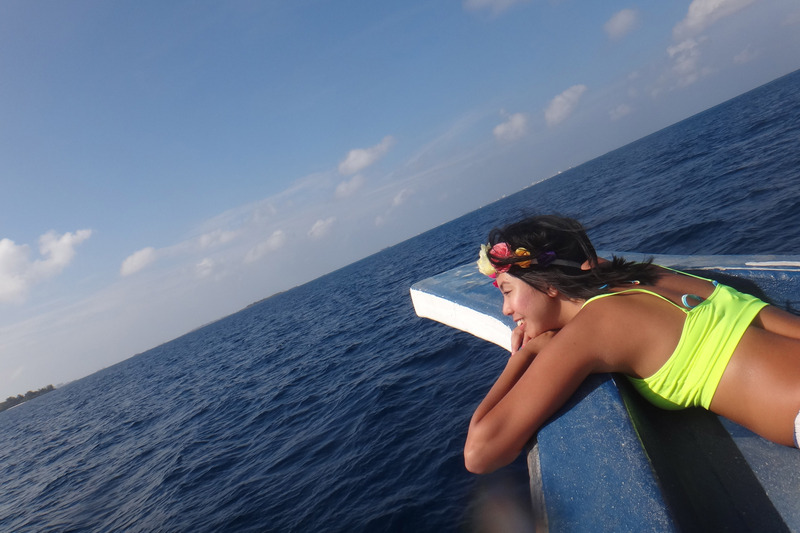 If there were any doubts that Maldives had space for non-lovers, for simple fun-loving backpackers — all of those are gone now. I’ll always remember this experience as one that reminded me to dream big, to chase harder after adventures, to challenge the status quo, and most of all, to follow my heart. Follow your heart. It’s hard to ignore a voice that knows you so well, believes the most in you, and — if you listen hard enough — is often right.